Mumbai, June 08, 2016: Attention ladies! Here is a beauty secret for that happy, healthy glow that your skin deserves. With Suncros, India’s Number 1 sunscreen recommended by dermatologists, there is all the reason to have a healthy and well-looked after skin for all seasons. This sunscreen brand trusted by dermatologists launched in the market has something for everyone. The Suncros range has a highly differentiated product mix that provides an offering for all skin types along with superior benefits of matte finish which ensures non greasy texture, water resistant formulation and 6- 8 hour substantively. Suncros will be available in three differentiated variants that provide broad spectrum protection - Suncros Aqualotion with SPF 50 for sensitive skin, Suncros Aquagel with SPF 26 for oily skin, and Suncros Soft with SPF 50+ PA+++ in matte finish for all ages that provides 8 hour substantivity. The scientific and technologically advanced formulations of Suncros provide broad spectrum sun protection from harmful UV rays as they penetrate deep within the skin through the nanonized and micronized zinc oxide. For women who know the merit of a sound skin care regime, Suncros is going to make its presence felt in their daily lives while offering the am to pm sun protection they always needed. Suncros protects skin from the harmful effects of UV rays that causes pigmentation, skin tanning and premature aging that concerns most women across regions and age-groups. Not to forget the protection from the ultimate risk of skin cancer. Suncros will be available in new attractive packaging across stores. Suncros Aquagel will be available in a 100 g pack with the MRP of Rs 345, Suncros Aqualotion in a 60 ml pack with the MRP of Rs 395 and Suncros Soft in a pack of 50 g with the MRP of Rs 545. 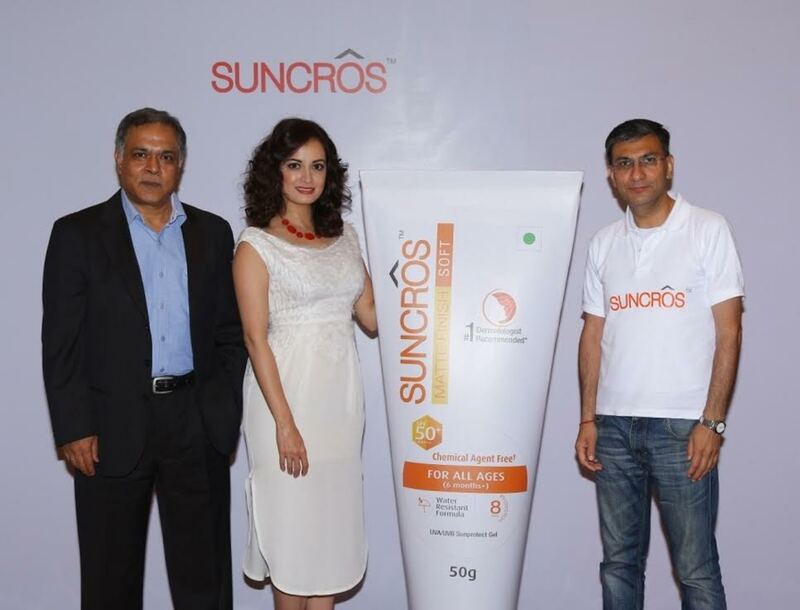 About Suncros: Suncros is India’s leading sunscreen brand in the generic branded business. Since its inception, Suncros has grown leaps and bounds along with constantly evolving the product offerings to provide superior and differentiated formulations to the consumers. Suncros range has a highly differentiated product mix that provides an offering for all skin types ensuring maximum protection from the harmful ultraviolet rays along with superior benefits of matte finish which ensures non greasy texture, water resistant formulation and 6 - 8 hour substantively. Suncros constantly works towards providing highly scientific and technological advanced formulations that provide its consumers with sun protection like no other.